It is possible that at least some of the myths mentioned above have a symbolic meaning. Whether the authors off these stories really meant to convey that meaning or they were stuffed with the significance later, it is difficult to say. Our innocent ancients did not write essays about what they learnt from life: they embodied it in stories. Perhaps the story of ‘Kaama Dahana’ is one such example. But we may, possibly, read too much into these stories. The Dashavatara story seems to depict the evolution of life very broadly. Beginning with fish which could live only in water, it traces its evolution into the tortoise (‘koorma’) which lives both in water and on land and goes on to the pig (‘Varahaavatara') which lives only on land and the half-man and half-beast ,in Narasimha. Finally, life reaches the stage of man - the stunted dwarf, 'Vaamana'. Then comes Parashurama - who, although a developed human being, is unable to check his emotions of anger etc. His body is well developed but not his mind. Then it is Rama who is physically and intellectually well-developed and who has formulated virtues and values. This process of evolution appears to have reached its zenith in the personality of Krishna. In Him we see (in addition to virtues) a perfect blend of a taste for arts, experience of life and practical wisdom. This is why Krishna is said to be a ‘perfect incarnation’. Now comes the ascetic Buddha, who renounced the world. Finally, it is ‘Kalki’, who completes the cycle of life. Who knows if those who conceived the Dashavatara stories had these things in mind! Or, who knows if the stories were written by one person during a particular period or by different persons at different times? If, on the basis of these stories and their interpretations, someone comes to the conclusion that our ancients knew the Theory of Evolution, it is only madness - not a very rare type of madness. I myself know of a professor who, on the basis of the story that Rama returned to Ayodhya in Pushpaka Vimana, concluded that our ancients had mastered the technology of making aeroplanes! We can benefit from mythical stories only if we remember that they are only myths and not literally true. Quite often, they tell interesting stories. The particular meaning that we are attributing to them mayor may not be embedded in them, but sometimes they do set us thinking. For example: Kashyapa Maharshi married two women - Dithi and Adithi. Dithi's children were monsters and Adithi's children were gods. Monsters and gods have the same father. That is, both evil and goodness have the same origin! Though seemingly contradictory, they are, strangely, related! The myth of churning the ocean also depicts this curious relationship - deadly venom (‘haalahala’) and life-giving elixir are both the products of the same ocean. According to a mythological story of Jews and Christians, God created Adam and Eve and placed them in the Garden of Eden, with the warning that they were forbidden to eat one particular fruit in the garden. Adam and Eve did not heed the warning and ate the fruit of the Tree of Knowledge. The minds of those who eat that fruit are set on the path of knowledge. Why did God forbid it? Could it be that God wants to condemn man to ignorance for ever? I asked myself this question. It is this myth which provoked the question. The answer to my question flashed to me when news came of the death of millions of people in Hiroshima where an atom bomb was dropped: ‘If man is provided with knowledge, this is how he will use it’. But after some time, I felt that this is no adequate answer. Yes, the bomb is a product of knowledge, just as venom was the product of churning. But, the medicine for the disease brought about by knowledge is more knowledge! The disease and the medicine, both are from the same source. We need to keep churning the ocean of ignorance. Elixir can rise only from that ocean. Mythological stories can provoke such thought processes, but only if we keep in mind the fact that they are only stories and not actual events. Even after admitting this much, some mythological stories are indeed difficult to digest. The story of Radha and Krishna is said to be a symbolic depiction of the search of the ‘Jiva’ for and its eventual merger with ‘Paramatma'. Radha's husband symbolizes this world. To renounce him is to renounce the desires of this world. To become one with Krishna is to conduct oneself according to His instruction 'Sarvadharmam parithyajya maamekam sharanamvraja' (leave aside all dharmas and surrender to me). Let us take it that this is what Radha did. I have also felt that it must have been this sentiment which was in the minds of the authors of stories about Krishna. Other religions, too, have seen the love between man and woman as symbolic of devotion to God. But, shoud we lay emphasis on the physical aspect of love? Stories about Krishna do, at times, go beyond this limit. It is easy to brand this objection as 'prudery' and dismiss it. But, consider: if someone depicts us similarly (in today's social environment), do we accept it? While describing some one whom we hold in high esteem, do we resort to such depictions? We observe restraint in such contexts; should not the same restraint guide us when we portray God? Don't we have anything else to say about God? Even the descriptions of Krishna's ‘Raasa Leela’, I believe, have crossed the limits of decency. Referring to someone leading a loose life, we say, ‘Ah! He played Krishna-Ieele’. And that is not a compliment. Stories of recent origin degrade God more than the mythological stories. The beliefs concerning Lord Venkataramana of Tirupathi (said to be an incarnation of Vishnu)do not enhance His reputation. It is all right if you remain content with the faith that Lord Venkataramana will take care of your welfare just as He does of all others in the world. But, if you seek any special favours (like a very good job) from Him then you must take a vow that you will offer a specific amount or render some special service. If you do land the job, it is His grace: if you don't, well, it is your 'karma'! In case you get the job and go back on the vow, you had it! He will hunt you down for years. You got your job or whatever it was that you wanted and He will not spare you if you don't pay for it! It is business, you had better remember! It appears Venkataramana had borrowed some money from Kubera for his ostentatious marriage with Padmavathi. (Wouldn't we be smart to transfer our devotion to Kubera? Kubera is rich, Venkataramana is a debtor! )That loan has to be repaid from out of devotees' offerings. Lavishness, vanity, ostentatious display - these are human short ­comings. Does even God desire them? It appears He does. We believe - don't we? - that He will be pleased if we present Him a golden crown or if we cover the towers of His temple with sheets of gold? This reminds me of our present day politicians. They will have to spend lakhs of rupees during elections. Once they win, they must recover the money through dealings in sites and so on, and then repay their loans. Of course, they need a few more lakhs for themselves, too. We have placed Lord Venkataramana also in this category! Lord Narasimha is our family deity. He is Vishnu's incarnation. Venkararamana is another incarnation of the same Vishnu. Still, I am forbidden to visit Tirupathi either for His worship or for any other reason. The reason: we belong to the ‘stealthy lineage’ (‘kalla vokkalu’) - whatever that means. But, I may visit Tirupathi provided that I accompany someone who does not belong to the ‘stealthy lineage’ carrying their baggage or umbrella. I would, then, be their servant carrying their baggage. God does not harass the attendants of His devotees. I am, in reality, not an attendant. Only, Lord Venkataram~na does not see through my trick. He can be fooled easily. Another incarnation of Vishnu is Sathyanarayana. 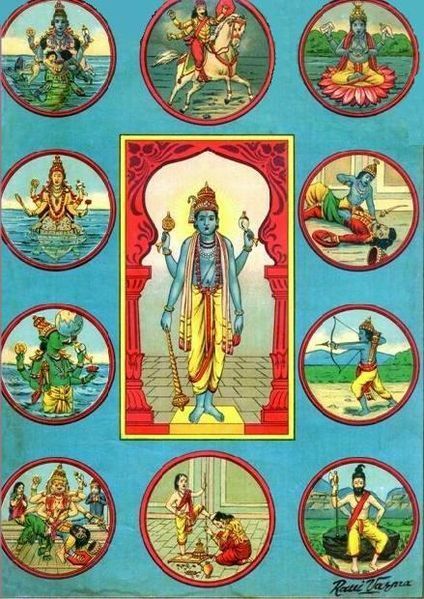 Narayana is an old God. To name Him ‘Sathya Narayana’ is only a repetition. He is always the incarnation of Truth. We have given Him this name only to emphasize Truth. ‘Sathyanarayana Vrata’ is of very recent origin. I have heard that even three hundred years ago, such a ‘vrata’ was not in vogue. But now, thousands of people perform it. Unlike ‘Krishnashtami’ or ‘Ramanavami', no particular day is marked for this ‘vrata’. One may choose any day. The food-offering to this deity is called ‘sapaadabhakshya’. This dish, prepared with soji, sugar and some other ingredients is very tasty. Sathyanarayana is a very scrupulous deity. Those who perform His ‘vrata’ will receive all they desire. This is only half the truth about Him. The other half, one has to be very cautious indeed. Those who attend the ceremony must not leave until it is over. And, to depart without partaking the ‘prasada’ is unpardonable, (This stipulation is excellent - considering how tasty the sapaadabhakshya is!) One must sit through the reading of the 'vrata'. If you leave before that, you are sure to meet with disaster! This is the story: A merchant, who was issueless, took a vow that he would perform a 'vrata' if he was blessed with a child, A daughter was born to him and she grew up and was also married off, But, the merchant did not perform the 'vrata', Lord Sathyanarayana cursed him. The merchant and his son-in law, who were on a tour, were accused of theft. The king forfeited all they had and sent them to jail. One day, the merchant's daughter happened to partake of the 'Satyanarayana Prasada', offered by someone. She and her mother decided to perform the ‘Vrata’. The same night God appeared before the king In his dream and instructed him to release the merchant and his son-in-law. After their release the two left for their town by ship. The merchant's daughter was performing the Vrata. She learnt that her father and her husband were on their way home. Elated, she forgot to partake the 'Prasada' and ran out to receive her husband. Immediately, the husband's ship sank. A voice from the heavens announced: “All this is because she has neglected to partake of the Prasada: everything will be all right if she partakes of it”. She partook of the ‘Prasada’ and - lo and behold - the ship surfaced. The family lived happily ever after. Sriman Narayana Himself, it appears, narrated this story to Narada, who In turn repeated it to Shounaka Maharshi and others, whom we are quite familiar with. Ninninde thappo nanninde tappo, Paramatma! Ideas such as these which degrade the concept of God are found not only in our religion but in other religions also. I have heard some people say that authoritative religious tenets do not contain such ideas. But, there are, in fact, some religious texts with such ideas. Still, most of the stories, like the ones narrated above, are those fabricated by some silly people. Their intentions might have been good but the effects of their stories are not. There is no substance in the argument that we need not bother ourselves with the stories concocted by some ignorant 'Dasas' and performers of discourses. Whoever might have invented these stories, it is not just uninformed or illiterate people who are influenced by these stories. Even educated people, scholars and learned scientists supplicate the protection of the gods depicted in these stories. Some years ago, when I was about to leave a 'Satyanarayana Vrata' without partaking the ‘Prasada’, it was a scientist who asked me. Why do you tempt Providence?" Therefore, the argument, 'these stories are the inventions of silly people, we may ignore them' just does not hold. These concepts do exert considerable influence on our society. We have talked earlier - haven't we? - about Vishnu and Shiva. The question, who is superior to whom? has bothered learned man more than ordinary people. There are stories to suggest that there is animosity between the two deities. But, the more dominant feeling is that they exist amicably. The supposed rivalry between them appears to bother us, - ordinary people and scholars alike - more than it bothers the deities themselves. In a way, this is only natural; one of them must gain an upper hand. All religions proclaim - don't they? - that God is omnipotent. There cannot be two omnipotent entities. The power of one curbs that of the other: the 'omnipotence' of one ends where that of the other begins. It is, therefore, logically untenable to consider both Vishnu and Shiva as equal gods - if we accept the idea of God's omnipotence, that is. One of them must indeed be superior to the other. Who could be that 'superior' one? We cannot remain content saying "Let them resolve this themselves: it is not our business! We will offer both of them flowers and food". This is because, if we worship one of them the devotees of the other will be enraged - ­Hiranyakashipu, a devotee of Shiva, could not tolerate even his son Prahlada worshipping Vishnu! Leave alone the devotees, even God Himself will not tolerate it, if we are to go by the Old Testament saying which urges a man thus: “Kill your brother if ever he cajoles you to worship other Gods". (Deuteranomy 13, 6-9). There is another reason why we place different deities at different levels. Suppose I am more inclined towards Shiva. Then, Shiva becomes an extension of my personality. He is my deity. Now, establishing the superiority of my deity becomes as important as establishing my own superiority. My deity has become part of my ego. This is a peculiar type of ‘soham’ (saha aham). Here, ‘ham’ (me) is more important than the ‘sahah’ (he). So, for one who accepts the idea of the ‘omnipotence’' of God, it becomes logically inevitable to accept one God and to bring down another deity; even rejecting Him is not a rare attitude. Purandaradasa displayed no contempt for Shiva, and has even awarded Him the status of 'Padmanabha's (Vishnu's) Charanadasa' (The humble' servant of Padmanabha). Shiva, of course, cannot be awarded a higher status than this. Purandara Dasa has sung in another of his songs, “I do not want even the company of those who do not think of Hari as the Supreme”. The ‘Shaivas’ reject Narayana. It seems there is a saying among ‘Shrivaishnavas’ that one must not take refuge in a Shiva temple even when chased by an elephant. We may, within out homes, worship only Vishnu and exclude Shiva, or vice versa; we may follow one set of religious rituals and leave out others or vice versa. Any way our deity is omnipotent and loves His devotees - if even Shiva means any harm to us, Vishnu will take care of it or vice versa. Let us grant others the same freedom of faith and worship that we enjoy. We will leave them and their deities alone. Why quarrel? It is perhaps a curse to humanity - we are never willing to grant others the same freedoms that we wish for: as I said earlier, our deity becomes a part of ourselves, our ego. We must rush to defend His status and position. Couldn't He, the omnipotent god who is supposed to protect all, defend Himself? We never think of this. Fundamentalists and political leaders exhort people to 'take up arms to defend your religion, your God'. We dance to their tune and what follows is fighting, bloodshed - all in the name of God! 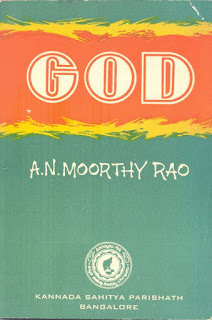 Even if Rama Sastry had triumphed in the debate the various deities would not have merged into one: nor would his defeat have meant that God who was one would have split into many deities. In fact, what goes on in such debates is only a display of linguistic and grammatical acrobatics of the scholars and not any meaningful assessment of the reality or otherwise of God. 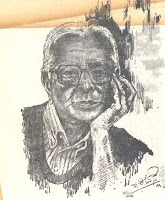 Rama Sastry himself, it appears, stated that his work concerned rules of grammar and not God. The sensation of such debates and interpretations is not much in evidence now. But, the stories concerning the superiority of Shiva or of Vishnu are very much in circulation. There is no dearth of people who believe them to be literally true. All of us have heard this kind of talk at one time or the other. [ii] I can recall only the first half of the relevant verse ‘Sri Rama Ramethi Rame Rame Manorame’. I know people who repeat this like the Gayathri Mantra.